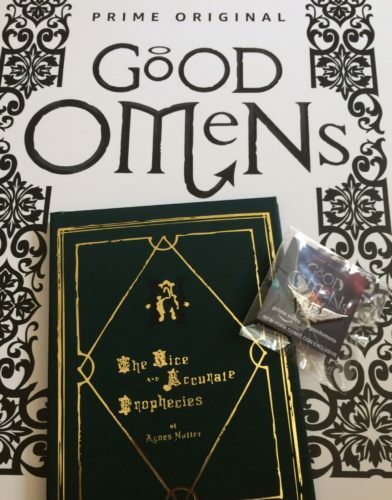 Home / Conventions • Signings and Cons • The Lovely Erica • TV Heartbeat / Amazon Prime Video’s Good Omens sent fans to heaven or hell at NYCC 2018! A surprise visit from Neil Gaiman! 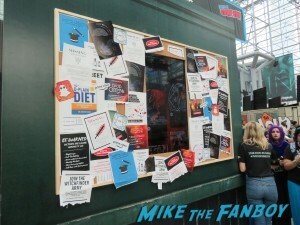 Amazon Prime Video’s Good Omens sent fans to heaven or hell at NYCC 2018! 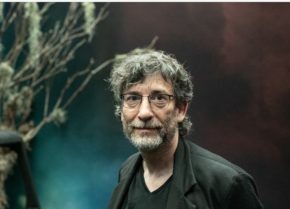 A surprise visit from Neil Gaiman! 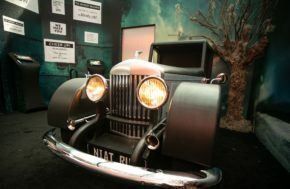 After debuting some of the splashiest booths last year, Amazon Prime Video was back at New York Comic Con to launch the eagerly anticipated new series Good Omens. The End of the World is coming, which means fussy Angel and a loos-living Demon who’ve become overly fond of life on Earth are forced to form an unlikely alliance to stop Armageddon. But they have lost the Antichrist, an 11-year-old boy unaware he’s meant to bring upon the end of days, forcing them to embark on an adventure to find him and save the world before it’s too late. 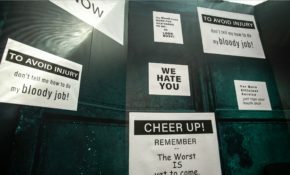 At NYCC, the Good Omens booth showed the “End is Nigh” with an elevator that would take you to heaven or hell. 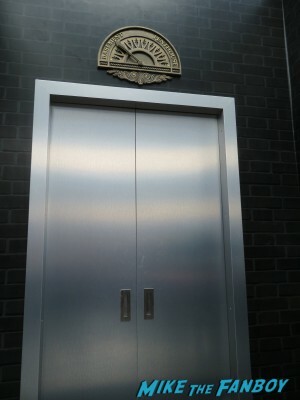 …but it’s still not a happy place! Also, I don’t know if this was on purpose, but it was ungodly hot there, too. 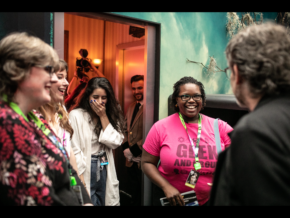 Some Thursday fans got an even bigger surprise when Neil Gaiman himself showed up! 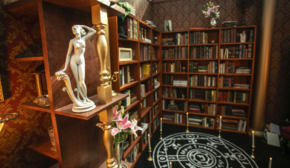 There have been quite a few adaptations of his works, but Neil is the showrunner for Good Omens so readers can rest assured that this will be a faithful adaption. Even if you didn’t meet Neil himself, everyone walked away with a cool blank book (plot point!) and enamel pin. 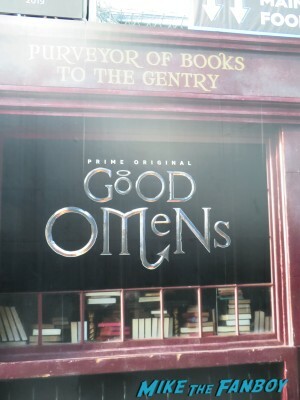 Good Omens makes its debut on Amazon Prime in 2019! 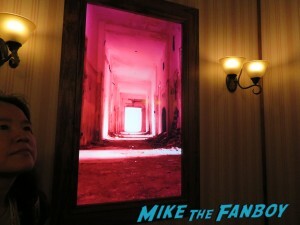 Check out the trailer here! SDCC 2016! FXhibition Takes Over! Photos! Highlights! More! 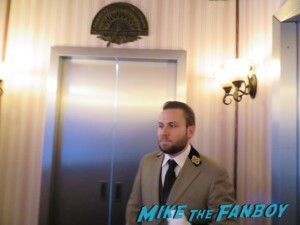 Signings And Cons! Julie Newmar! Summer Glau! Sean Astin! Karl Urban! And More! Heading To The Hollywood Show! Meeting Martin Landau And “V” Star Richard Herd! Autographs! Photos! And A Day With The MTF Crew! NBC San Diego Comic Con Plans! Constantine! Hannibal! 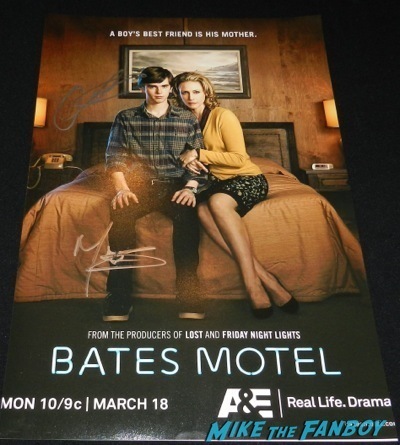 Bates Motel! Blacklist! Grimm! Tons More!